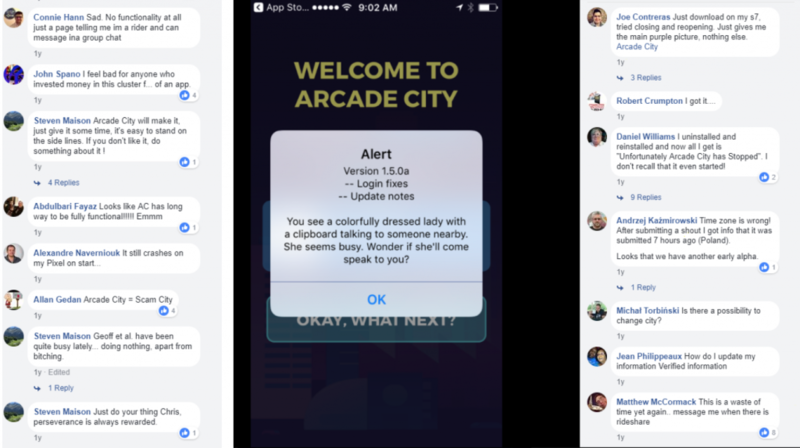 Ride-Hailing App 'Arcade City' Aims To Replace Uber - But Is It A Scam? 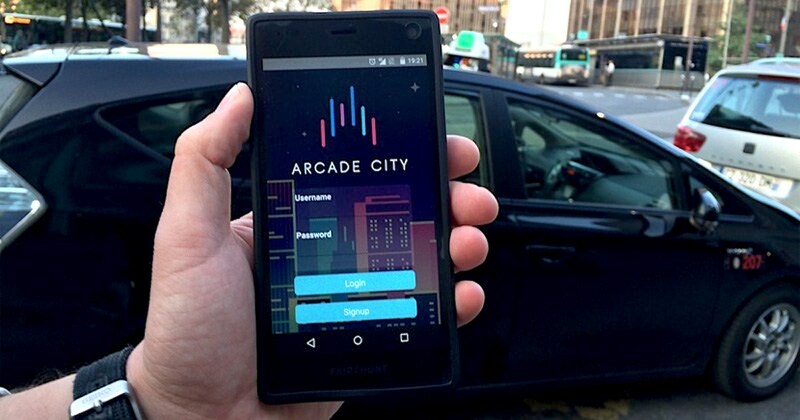 Ride-Hailing App 'Arcade City' Wants To Fill The Void Left By Uber - But Is It A Scam? Arcade City is now up on Google Play Store. However, the app is still unavailable on the Apple App Store. As Uber exits the Southeast Asia market due to the merger with Grab, a new TNVS provider – Arcade City – aims to take its spot. In line with this goal, the ride-hailing startup announced that they will start operations on April 16 in the countries that Uber has suspended its service. Besides the Philippines, these countries include Cambodia, Indonesia, Malaysia, Myanmar, Singapore, Thailand and Vietnam. Christopher David, founder and CEO of Arcade City, said in a blogpost that “Uber is withdrawing from the world stage at an increasing pace” and that it is “happy to continue filling the void Uber leaves behind”. But just a few hours after it made the announcement, the Land Transportation Franchising and Regulatory Board (LTFRB) issued a ‘cease and desist’ order to the startup. According to the advisory, Arcade City was “operating as another form of Transportation Network Company (TNC) without coordinating with the agency”. As such, it warned Arcade City to not launch its mobile app on the slated operational date of April 16. The regulatory body also told the startup to stop all in-app bookings, as those who are operating are considered “colorum”. A LTFRB board member said that Arcade City drivers caught plying the roads will be slapped with a P120,000 fine, while his or her vehicle will be impounded for 3 months. 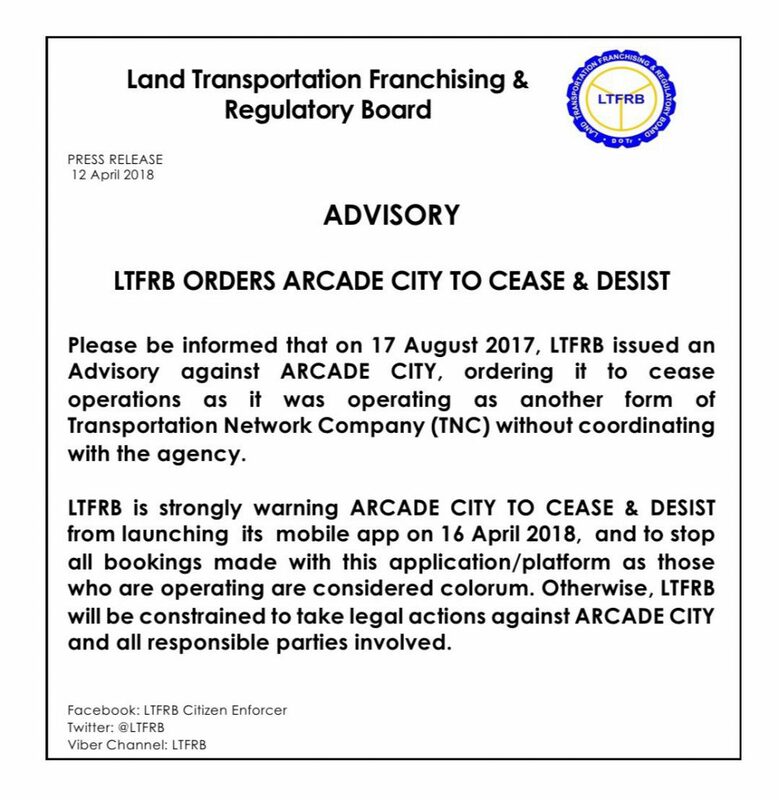 This is not the first time LTFRB issued an advisory against Arcade City – the first was when the startup conducted a test launch in the Philippines last year. This initial test launch saw over 20,000 drivers and riders in the Philippines signing up for their early version of the mobile app; and the startup said that it will tap on this network to help expand across Southeast Asia. In an interview with GMA News Online, David said they would push through with the launch despite the order. “Hopefully, the LTFRB spends more time processing applications of TNVS (transport network vehicle and service) and drivers, [and] less time on making threats to companies trying to help,” he added. Despite its claim of going ahead, it seems that the Arcade City’s mobile app is still not available on the app stores. There are also no updates pertaining to this delayed launch on its Facebook page. 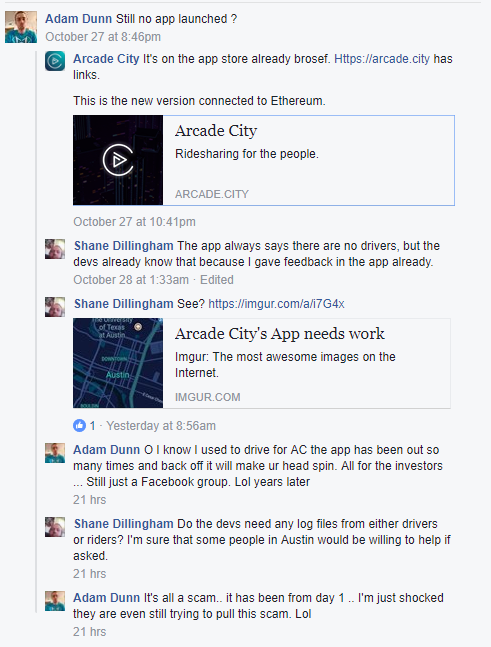 David – a former Uber driver himself – said Arcade City, which began in Austin, Texas, in 2016, does not consider itself a TNC (transportation network company). Setting itself apart from the centralised operations of Uber and Grab, he said that Arcade City has developed a unique and decentralised peer-to-peer model of ridesharing. Instead of controlling driver networks from a corporate headquarter, Arcade City lets their drivers build their own transportation businesses and networks. These networks are governed by local groups of drivers called cooperatives or “guilds”, who then creates customised policies in their local areas. “Riders can choose their driver. Drivers can set their own rates. We won’t be hiring some corporate people to run an office in the Philippines, we invite the drivers themselves to run the networks,” explained David. “It’s basically a glorified version of your friend wants a ride and they give you 5 bucks for gas or whatever,” he added. Arcade City’s payment method is also unique. They are going with a peer-to-peer payment method, which means that the payment transaction will be done between the driver and passenger without the company interfering. “Drivers are tired of being pawns in the great game of big rideshare corporations buying and selling their loyalty,” said David. For now, David said the company is focused on rolling out technical infrastructure to make it easier for new markets to launch using cryptocurrency. 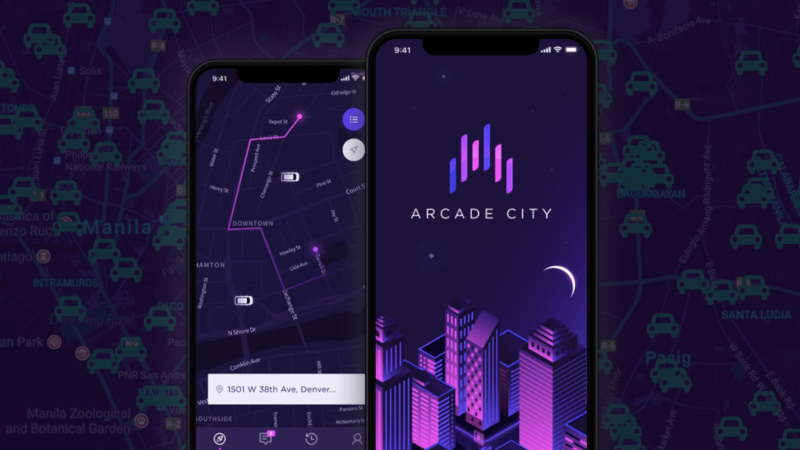 Arcade City aims to incentivise the growth of its driver and rider network through a blockchain-based cryptocurrency called “arcade tokens,” according to its official website. Riders and drivers could earn tokens through any action that gives “measurable value to the Arcade City network.” These actions range from providing a well-reviewed service to recruiting more drivers and riders. The tokens could then be sold for cash, or used within the Arcade ecosystem for service and bonus features. According to David, this incentive system will take another month or so to fully roll out. 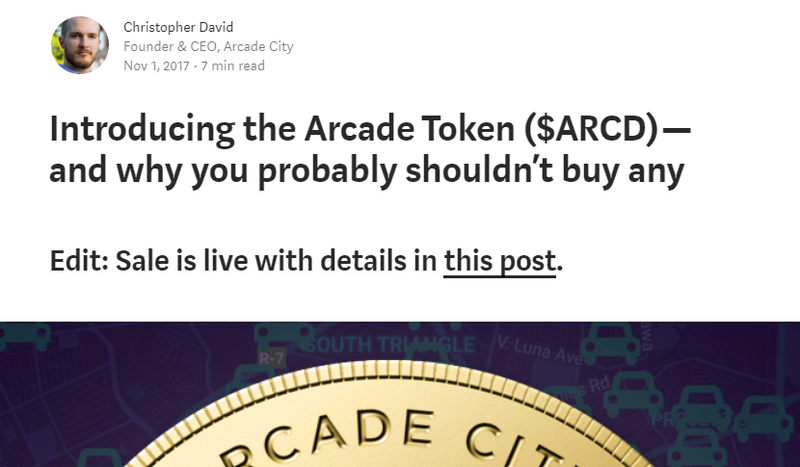 A Medium article revealed that David has a long history of scamming – his latest one being Arcade City. Basically, the Arcade City is an unfinished app. In a separate 2016 article, it revealed that in the first two weeks of the app launch, not a single ride was given, which led to this speculation. Instead, the app did nothing other than scroll users through a series of texts claiming their ridesharing capabilities will be “unlocked” once users gather enough “karma” in each one of their cities. Understandably, drivers are frustrated and angry that the app was released with a “game” that forces them to work for free before any of them could start making money. As it turns out, the app has no GPS, mapping, location and/or any functionality that would enable ridesharing, even after a certain number of “karma” is collected. David claimed that he had ridesharing functionality programmed into the original app that was released in February 2016. However, that version only allowed riders to set up pre-scheduled rides. Fast forward to late 2016, Arcade City has gone through multiple revamps and relaunches – but the app is still a no-show. In January last year, the Arcade City Council leadership – led by Bernd Lapp – decided to rebrand so as to shed the tainted Arcade City name. This was in part due to the largely negative reaction the Ethereum community had to David’s involvement with the Arcade City project. Moving forward, he declared that there will be no more token sales and went ahead to market the global launch of the new Arcade City app. The app was released much later than the anticipated March 2017, to little to no fanfare. The app barely worked, and users were once again upset. David then disappeared for several months, and the Arcade City page went into dormancy. David later resurfaced and started hiring graphic designers to redesign (multiple) Arcade City logo so he can continue to scam investors for money. After the latest logo rebrand in July 2017, he released yet another non-working app, which was once again downloaded by hopeful users. 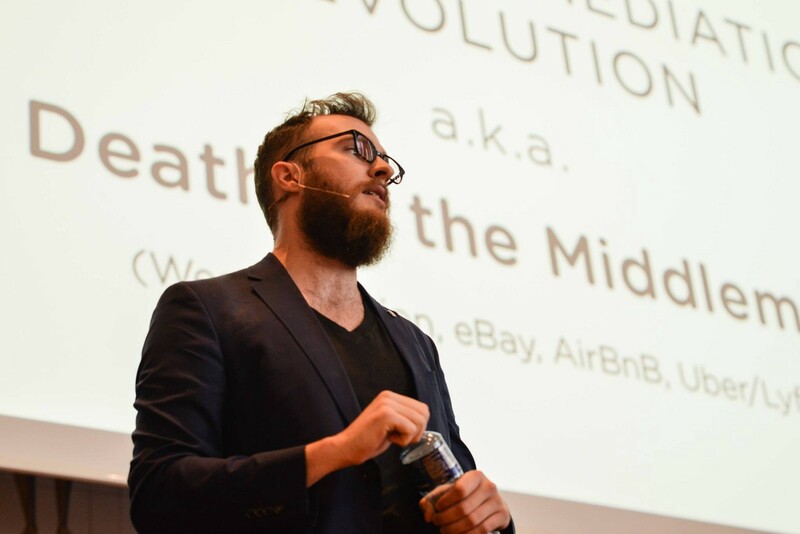 With still no working app and multiple failed attempts to generate revenue, David goes on various Bitcoin conferences worldwide in an attempt to raise more investment capital. Fortunately, the token sale was a huge failure; and the value of ARCD tokens is still effectively $0 to this day. Right now, it’s really unclear as to why Arcade City is still unavailable in the app stores. Is the app unfinished? Did David perform another disappearing act? Or is Arcade City simply heeding the warning of LTFRB? In any case, if it ever launches, only time will tell if Arcade City can really fill the void left by Uber. Theoretically speaking, their business model does sound feasible – its platform has the potential to cut out the middleman, while still providing much-needed transportation services in Metro Manila and beyond. However, there is also much ground left to cover before it can do so legally, and with sensible safeguards in place. We’ll update this space once the app rolls out!